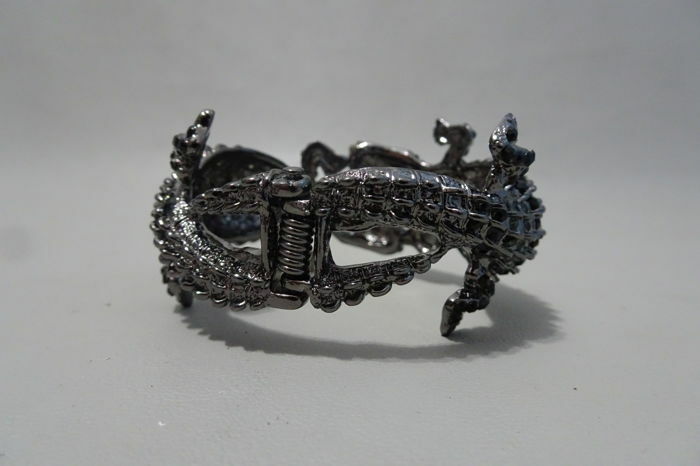 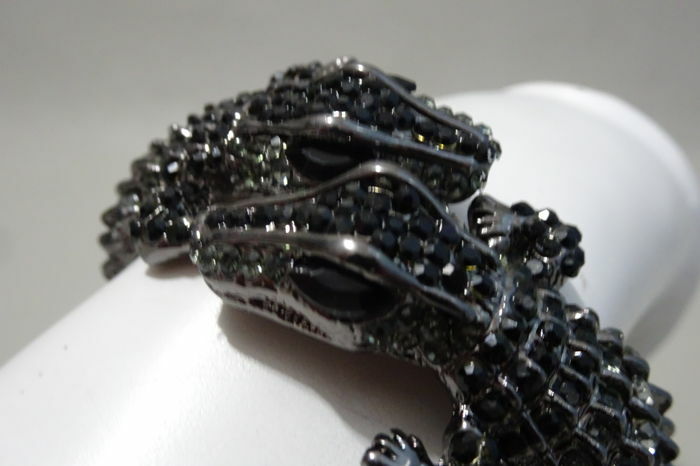 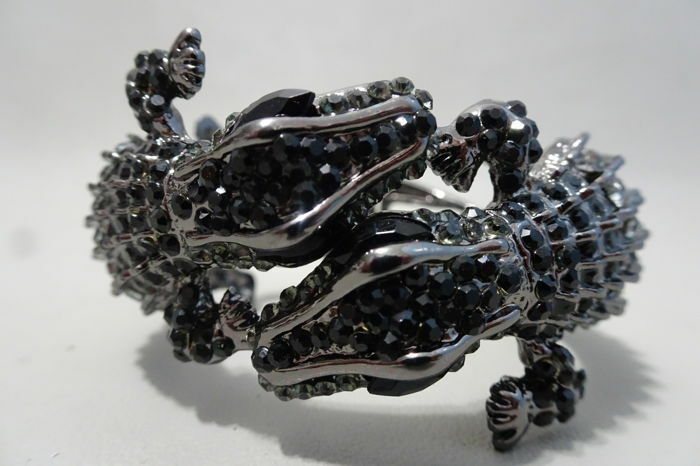 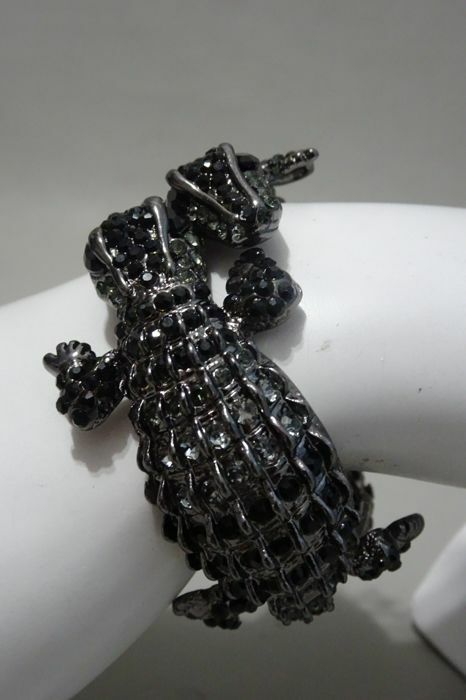 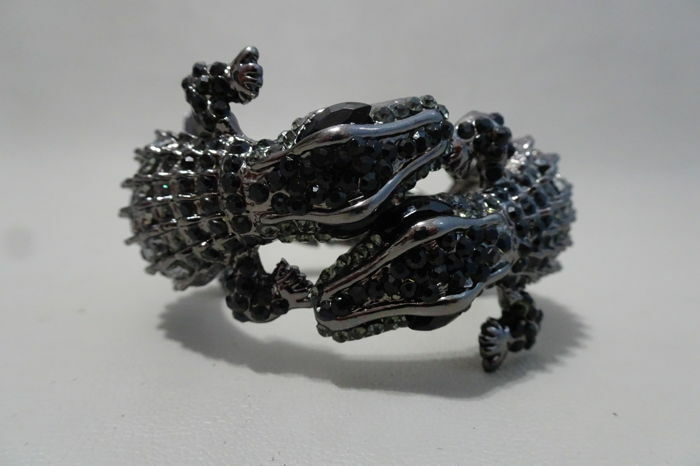 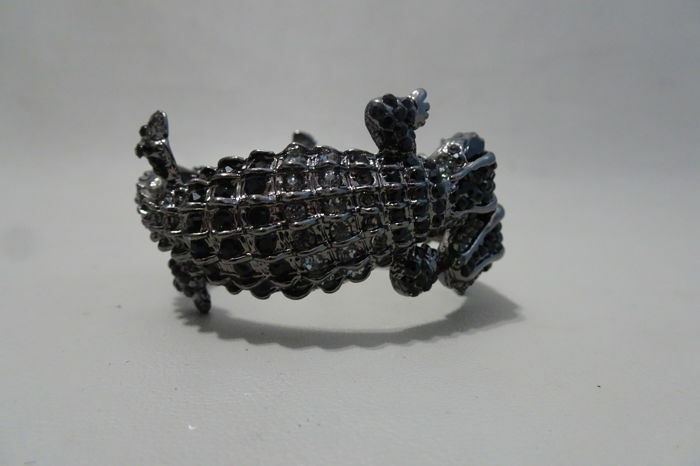 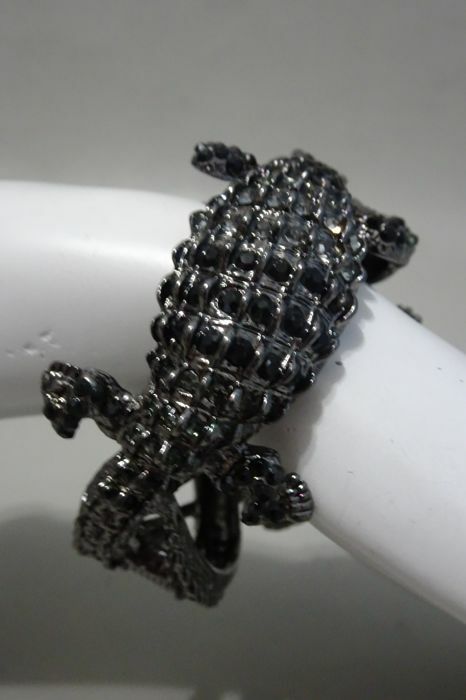 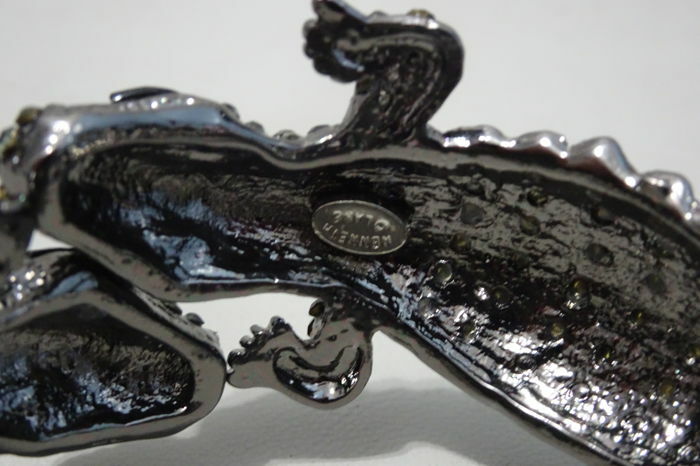 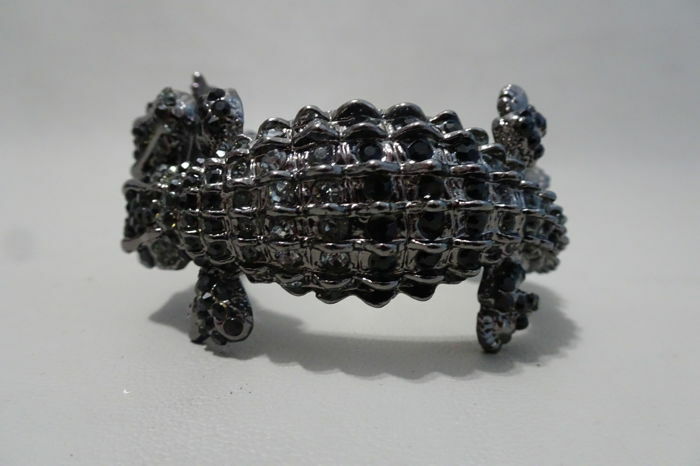 Spectacular and eye catching alligator clamper bracelet in silver tone plate with sparkling aurora borealis and black color crystal eyes. 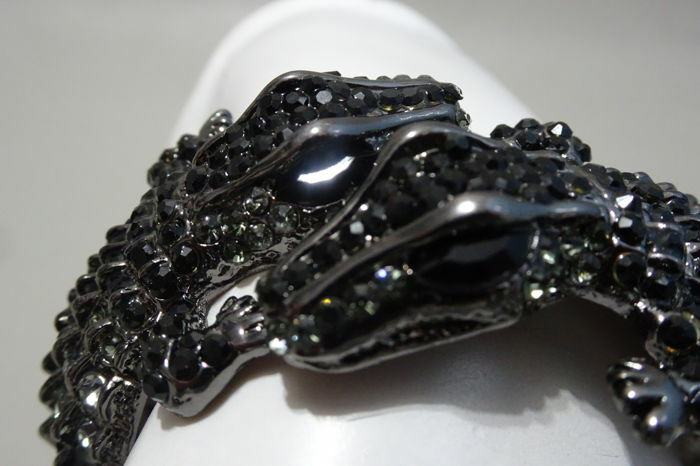 Signed "Kenneth © Lane" (Kenneth Jay Lane) which means it comes from his "Couture Collection" and was never sold on QVC but rather in the finest upscale stores like Saks and Neiman Marcus. 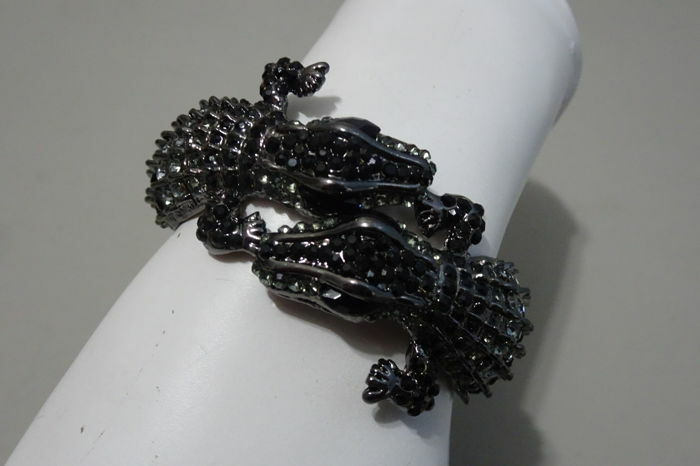 It will fit a petite to average wrist and is in Like New Condition, never been worn.